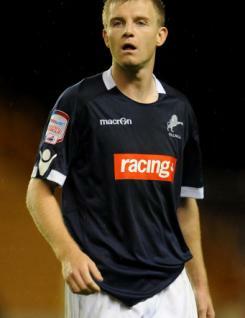 Tony Craig is a wholehearted left back or central defender for Championship team Millwall. Tony is totally reliable in whatever role he has to fill, and when the necessity occurs he will advance in support of the attack. He is now in his second spell with the Lions, whom he rejoined 2008 after a short spell with Crystal Palace. Rarely injured, Tony never knows when he is beaten and is fully committed with his tackling. His heading ability, allied to some fine ball distribution and passing make him a valuable asset.